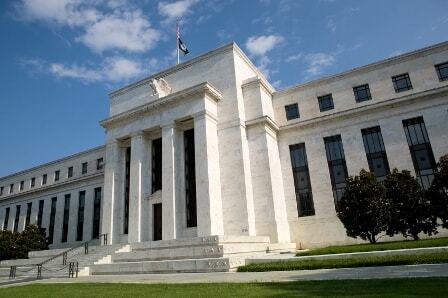 The decision by the Fed to hold interest rates steady for now has been welcomed by world markets. Asia and Europe have tracked the rise of equity markets in North America from the previous session; oil and gold are also higher again Thursday. Two more central banks are in focus today with the president of the ECB speaking at 9am ET and Canadian Mark Carney, governor of the Bank of England, speaking at 1pm ET. Asian markets closed higher Thursday with Seoul and Sydney leading. Japan’s Nikkei was closed for a public holiday. Meanwhile, in Europe the Fed’s deferment of interest rate increases has boosted sentiment, while the weakened US dollar’s material impact on commodity prices has seen energy and materials stocks gain. Wall Street and Toronto are expected to open higher. While Brexit has not caused significant issues for the UK economy so far, there is trouble ahead. That’s the assessment of major investment banks who believe that London will not maintain its important position for derivatives markets and are looking at German or French alternatives. Bloomberg reports that the centre for clearing 570 billion euros of derivatives will be the first to move to continental Europe as the Brexit process gathers pace. The UK government has pledged to protect the City of London’s dominant position as a financial centre.